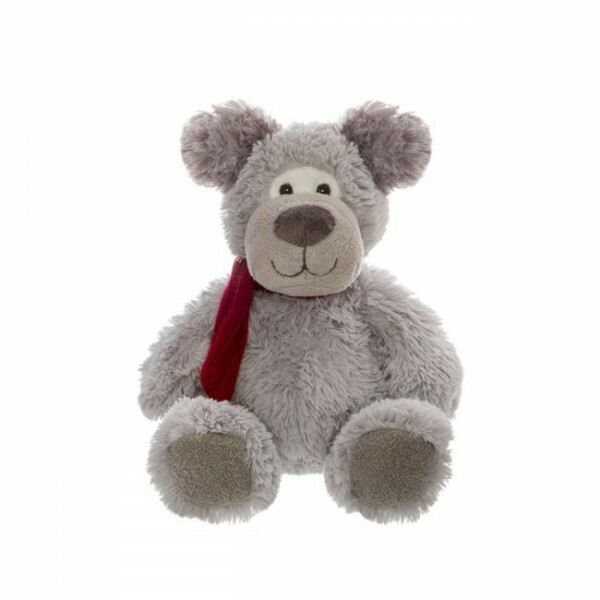 Riley the Teddy bear is a cute cuddly little bear measuring 20cm high, perfect as a romantic gift. He has a red scarf. His fur is soft and shaggy with grey colouring.